Well, Ratzlaff thought to himself and wanted to say aloud except that he very much treasured his job, let’s start with the fact that our company built a pesticide plant in Podunk, Mississippi, because the land and labor were dirt cheap, then we spent the next thirty years dumping chemicals and waste into the ground and into the rivers, quite illegally of course, and we contaminated the drinking water until it tasted like spoiled milk, which, as bad as it was, wasn’t the worst part, because then people started dying of cancer and leukemia. Than, Mr. Boss and Mr. CEO and Mr. Corporate Raider, is exactly what went wrong. Ratzaff had a memo under lock and key. It was eight years old and had been prepared under his own supervision. It ran for a hundred pages and described in gruesome detail the company’s illegal dumping of toxic waste at the Bowmore plant. It summarized the company’s elaborate efforts to hide the dumping, to dupe the Environmental Protection Agency, and to buy off the politicians at the local, state, and federal level. 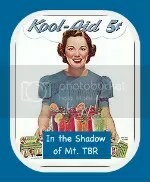 It recommended a clandestine but effective cleanup of the waste site, at a cost of some $50 million. It begged anyone who read it to stop the dumping. And, most important at this critical moment, it predicted a bad verdict someday in a courtroom. Only luck and a flagrant disregard for the rules of civil procedure had allowed Ratzlaff to keep the memo a secret. Mr. Trudeau had been given a copy of it eight years earlier, though he now denied he’d ever seen it. Ratzlaff was tempted to dust it off now and read a few select passages, but, again, he treasured his job. and with that promise, he walked across the Persian rug, lifted his jacket from a rack, and left the office. The Appeal by John Grisham is a compelling, at times frightening, look at the appeals process, big business, the new and growing trend of buying elections, and a grim outlook at where it is all taking us. The book begins where most legal fictions end, with the verdict and then follows the appeal through corporate maneuvering and the campaign to plant their man on the Mississippi Supreme Court who will rule in their favor. While the company in this story is clearly liable for the injuries cause by their gross negligence, flagrant disregard for mandated disposal of their product and illegal dumping of class I carcinogens that eventually leeched into the towns water supply, claiming the lives of nearly 70 residents and another 140 on their way to the graves, it is important to remember that there area great number of frivolous personal injury lawsuits and stacked class action suits filed everyday in this country. Grisham does show this to some extent with Bintz, the Philadelphia (that’s Pennsylvania, not Mississippi), but the fact does seem to be glossed over with the book’s focus on the more sensational and legitimate cases being rendered by the stacked court. One thing I have learned in my 30+ years of life is that nothing is simple, nothing is all of one and none of the other. Business, the legal system, and politics, like life, are a complex mix of facts and interested parties, and as many outcomes to factor into account as the causes that brought things to that point. Grisham well displays, though again somewhat slanted, how people with beliefs and causes can be whipped up into a frenzy with campaign rhetoric, half-truths, and sound-bytes. I generally try to defer discussing politics and religion in my blog and reviews, but I imagine regular readers have picked up on the fact that I am a Christian with a moderate-to-conservative Republican view on politics. To a degree, Grisham seems to hold up the liberal side of things as being the thinking side and the Christian conservative side as being the easily manipulated simpletons who are ushering in the ruination of the country. To be fair to the author, Grisham doeshave Denny Ott, a non-denom pastor who thinks for himself and chastises a fellow church leader for his use of the pulpit as a campaign tool. Also, the protagonists of the book, married partners of the law firm Payton & Payton, are also practicing Christians who pray before going into court, donate legal advice through Ott’s church, and sacrifice everything for what they believe is right; Krane should be held accountable for their heinous conduct that has destroyed the lives and even the town of Bowmore. 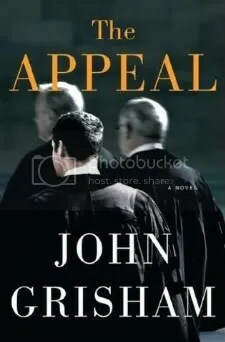 The Appeal by John Grisham is the first Grisham novel I have read, though I have seen several of the author’s books-to-movies. 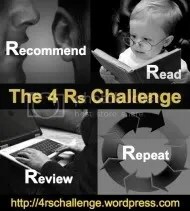 I definitely enjoyed the easy to read writing style, and was captivated by the storyline. Grisham is an excellent storyteller, and The Appeal will not be my last of his books. I give it 4 stars out of 5, it’s a good, solid book that makes you think and consider the world around you.